This is Bray's third book. Like the Backgammon, An Independent View and What Colour Is the Wind?, it is an anthology of his best columns from the Independent. The articles were written between 2002 and 2006. COVER: In this anthology of his most recent Independent articles, Chris traces the development of on-line play and looks at many other aspects of the game. 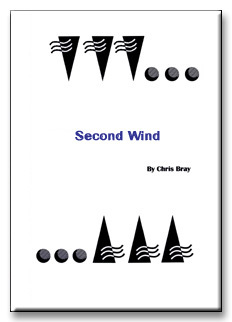 The game is changing rapidly and in the five years since the publication of Chris's last book, What Colour Is the Wind?, the spread of broadband connectivity has driven unprecedented growth in backgammon on the Internet. Backgammon playing computer program, such as Snowie and gnubg, are helping players of all strength to develop their game. The material in this book covers not only the development of backgammon theory but also looks at the history of the game inlcuding some of its more famous and colourful players. Several new players, including the Dowager Duchess, have joined his menagerie to help paint a graphic picture of life in the high stakes chouettethe very lifeblood of backgammon. AUTHOR: Chris Bray is the backgammon columnist for The Independent newspaper in London and has been playing and studying the game for nearly thirty years.